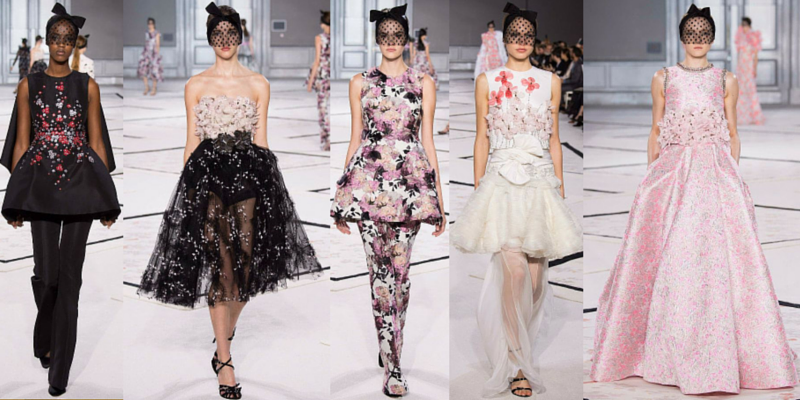 During Couture Week, there is one label which is always guaranteed to take my breath away: Giambattista Valli. As much as I love the ferocious sexiness of Atelier Versace and the fresh modernity of Armani Prive, I’m an old fashioned gal at heart so my favourite looks will always be unrestrained romanticism which Valli serves up in spades. Inspired by an ‘impossible conversation’ between Coco Chanel and Janis Joplin, the Spring 2015 collection features Chanel-inspired shrunken jackets and menswear twists with Joplin-inspired cocktail dresses layered over trousers against a pastel colour palette. The collection also featured frothy tulle, pretty faille and plenty of embroidery, ruffles and fur to keep Valli loyalists more than happy. Another perfect collection from one of my couture favourites.